Anxiety. Fear. Timidness. These are "the most prevailing things" we, all humans come across every time during any situations like exams, interviews, etc., which literally is very hard to overcome. I, being a teenager have this fear which is why I was laid back from the beginning when it came to something doing in public. In real, I wasn't a convivial person at all which eventually made me low in front of others. So, I thought of improving myself by overcoming my inner fear. Of course, for being called a loser is deteriorating. After slowly recovering from my depression I started watching videos on youtube about all the random stuffs as well as the inspirational videos of the youtubers which really inspired me and that was the moment which made me feel strong, and which made me realize that I need to step forward. However, the most gruelling and the common notion we, ordinary people have in our mind is that that we don't have any such precocious qualities like the others (might be neighbor with great quality on any thing). Seeing others progress with their aptitude makes us feel low, timid and that ultimately results in depression. But always sticking inside the darkness isn't also a good choice and if you feel that God didn't give you any such aptitude then that's a wrong thinking. I would say, GET OUT AND MAKE NEW FRIENDS, EXPERIMENT ON NEW THINGS WHICH YOU FEEL HAPPY ABOUT and that will be the moment when you can decipher your hidden aptitude which will make a "ORIGINAL YOU". Furthermore, you have to have the courage to come out of your safe zone and step into the world to adjust into it by doing any work or activity which you enjoy the most. Though making a place in a new environment is really hard, the courage you put through to push off those hard times makes you confident as well as those anxiety, fear will automatically run off your head and voila! You can strive to your goal without any fear and any other impediments preventing you! Another thing is to be optimistic and positive towards any such thing/person that makes you feel low. By doing so you will see bright side of everything and also the most important part is to look energized everytime so that your personality reflects your courage and confidence rather than a low and shy one. Tell me, calling as a hesitant, shy is very hurtful! But it is the reality and so to change it, you must do it on your own, no one is going to help you. Last, but not the least, the most pivotal ingredient to overcome anxiety, and regain your lost confidence is always by being social as in talking person in person which will enhance your capacity and make you stronger than ever! Daily optimistic habits towards everything lets you to regain your confidence to fight against your FEAR. 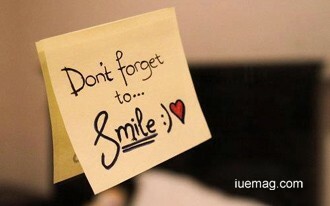 And, most importantly, always keep SMILING!!! Any facts, figures or references stated here are made by the author & don't reflect the endorsement of iU at all times unless otherwise drafted by official staff at iU. This article was first published here on 13th December 2014. Riya Shrestha is a contributing writer at Inspiration Unlimited eMagazine.